After two years of planning, a good friend and I finally made it to the Nashville Zoo. Located in the middle of a congested business area, one is surprised to find a wild animal reserve just a road away. 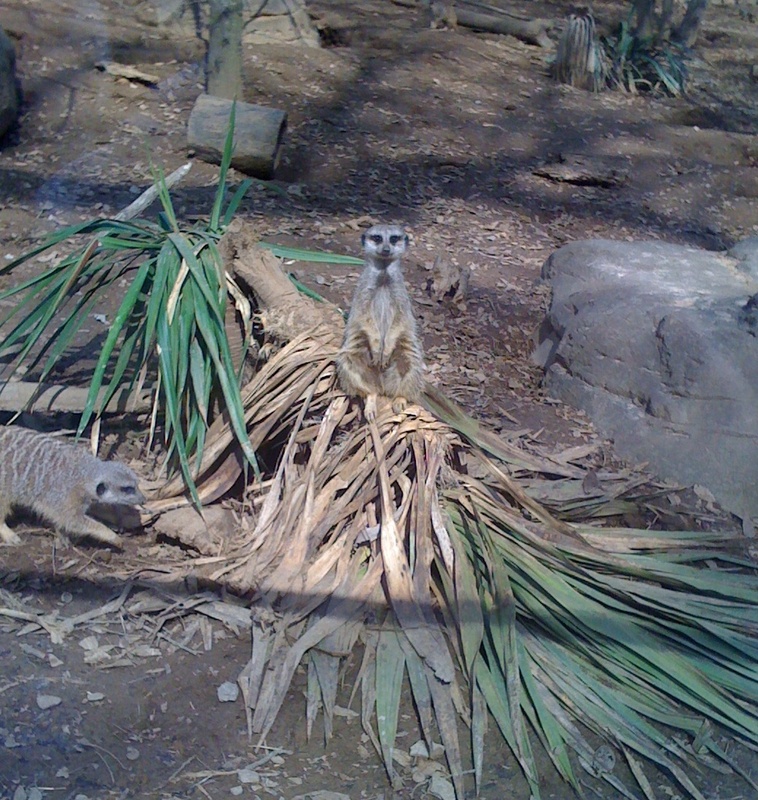 For a $14.00 ticket price a visitor can watch meerkats up close and personal as well as gibbons, camels, giraffes and other animals distinctly not indigenous to Tennessee. I especially enjoyed the meerkat station. I find these animals fascinating and was not disappointed. The hyperactive creatures ran up to the glass posing, playing, and otherwise enjoying the attention. There is a plexiglass tunnel that leads to the center of the meerkat playground but lines of children discouraged me from trying it. Reptiles, amphibians and fish native to the “Americas” are housed in an indoor pavilion that is rather dark. But if you take the time to view carefully you can see an anaconda, vipers and some really beautiful but deadly tree frogs. I was intrigued by the blues and greens that abound in nature. The zoo is small but that is a good thing. You can visit most exhibits in about two hours. The layout is rambling so that crowds don’t get bothersome and strolling is enjoyable. Go early to feed the lorikeets because they get full fast and the zoo web site warns that certain weather conditions are more favorable to the getting full views of the animals. This was a nice way to spend a sunny day on Spring break.